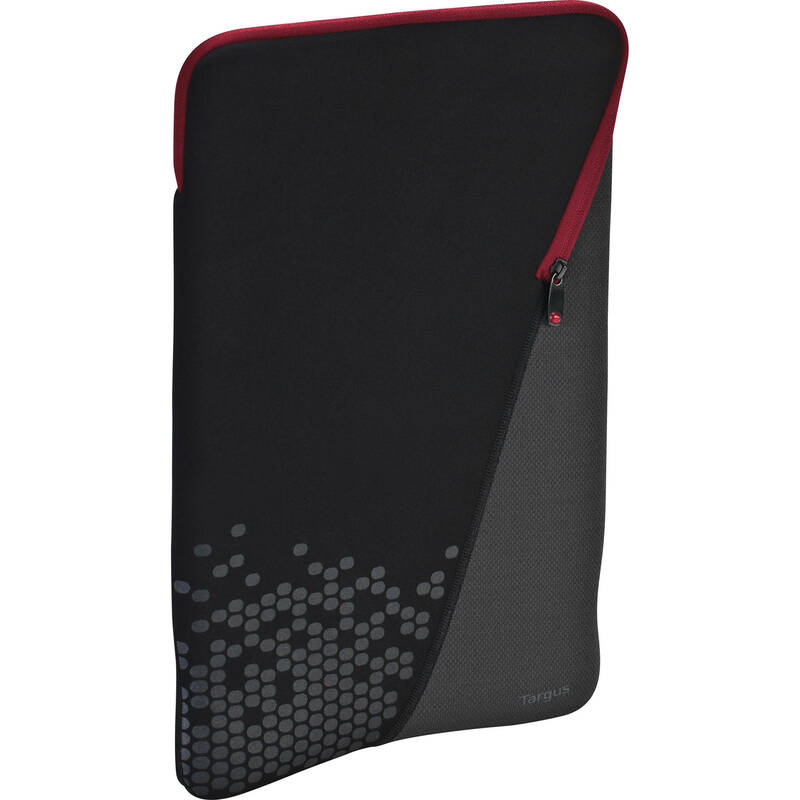 The black/red 14" Gravity i.6 Sleeve from Targus provides a slim, lightweight (5.9 oz)way to store and transport your 14.1" computer including those with an extended battery. The sleeve is made from weather-resistant neoprene and a soft, scratch-resistant lining to protect your laptop from abrasions. The closure system is unique with an L-shaped zipper that securely holds your laptop in place but provides rapid access to it. The cover features a stylish graphic print that is replicated on the interior. The Gravity is backed by a limited lifetime warranty from Targus. Box Dimensions (LxWxH) 14.7 x 11.1 x 1.5"